Dentures - Dentallive Clinic LTD. Complete or partial dentures are a viable alternative for missing teeth. As a patient you have to realize dentures will never fit or feel as good as your natural teeth, especially lower dentures which are prone to retention problems. 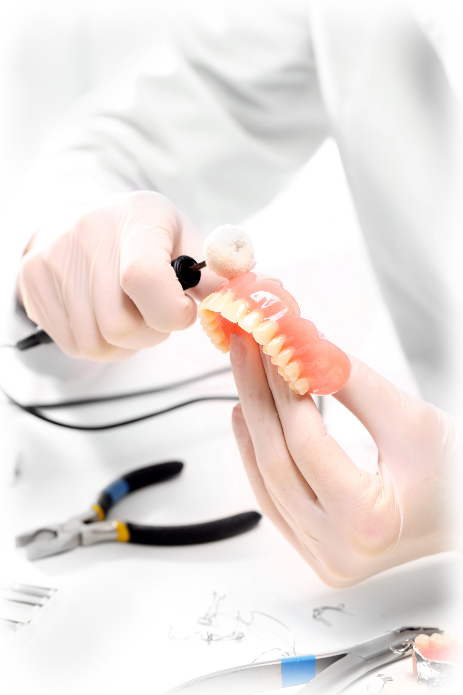 Dentures are made of a hard acrylic that is moulded to form to your existing tissues. Remember when you don't have teeth you will lose your bone over time and you may need your denture relined or a new one down the road. Remeber you can always get a better fitting denture by anchoring them into the bone with implants.